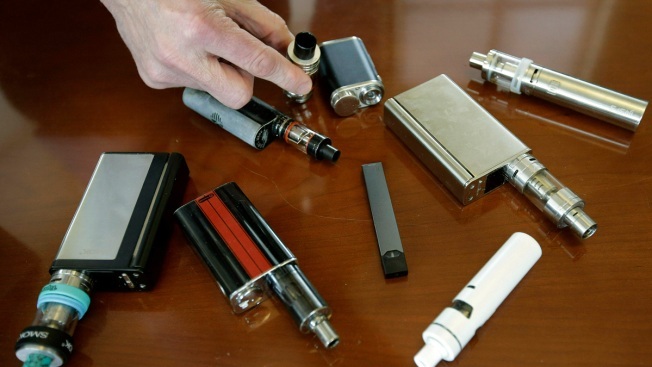 In this April 10, 2018, file photo, a high school principal displays vaping devices that were confiscated from students in such places as restrooms or hallways at the school in Massachusetts. 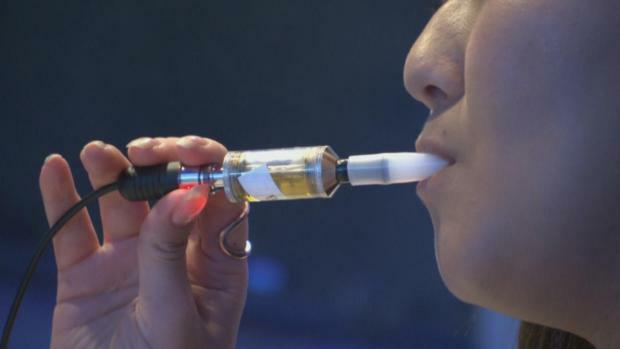 On Wednesday, April 3, 2019, the U.S. Food and Drug Administration said it has not established a direct connection between vaping and seizures but is seeking more information. Regulators noted that seizures and convulsions are a known side effect of nicotine poisoning. The Food and Drug Administration said Wednesday it has reviewed 35 reports of seizures among e-cigarettes users, mainly in young people. Regulators stressed it's not yet clear whether vaping is responsible. But they said they're concerned and encouraged the public to report information about the issue. These cases warrant "investigation into whether there is in fact a connection," FDA Commissioner Scott Gottlieb said in a statement. Gottlieb is stepping down on Friday after nearly two years heading the agency. 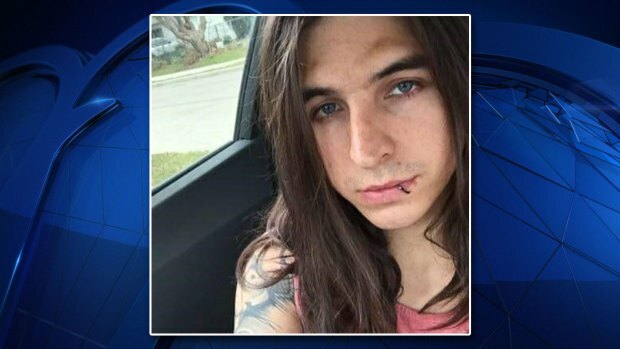 A Fort Worth man died last month after an electronic cigarette exploded and cut his artery, according to the Tarrant County Medical Examiner. It's not the first time the FDA has flagged a potential health hazard with vaping devices — the agency has warned of rare burns and explosions related to overheating of batteries that power the devices. The Associated Press Health& Science Department receives support from the Howard Hughes Medical Institute's Department of Science Education. The AP is solely responsible for all content.